Jon Jones is seen by many as the greatest champion in UFC history. However, the former light-heavyweight king has had a plethora of issues come to light in the last three years that have some what tainted his legacy. His latest infraction came as a result of a failed drug test after he defeated long time rival Daniel Cormier at UFC 214 in July of 2017. 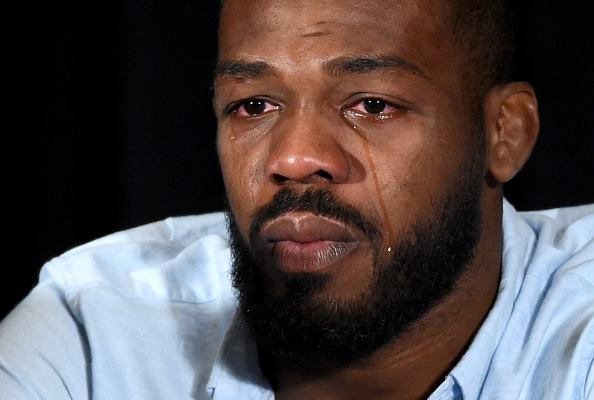 Last week it was reported by MMA fighting that Jones was given a 15-month retroactive suspension in his USADA case by an independent arbitrator. As a result his suspension was backdated to when the sample was collected on July 28, 2017, meaning Jones will be eligible to fight again from October 28, 2018. At the UFC 229 press conference, Dana White ruled out the prospect of Jon Jones headlining UFC 230 which until yesterday seemingly had no main event. Now, Jones' long-time striking coach Mike Winklejohn has confirmed via his Instagram account that the former 205lbs champion will make his eagerly awaited return at the UFC's end of year card on December 29. In the snap Jones is wearing a hat that says "The wait is over. Jon Bones Jones" followed by the hashtag UFC 232. The event is set to take place in Las Vegas later this year and will also feature a champion vs champion fight in Cris Cyborg and Amanda Nunes. Jones' opponent as not been made official yet, but it is thought that Alexander Gustafsson will be on the other side of the cage. The Swedish striker has been angling for a rematch with Jones since their 'fight of the year' performance at UFC 165 in September 2013. A fight that many fans believe 'The Mauler' won. 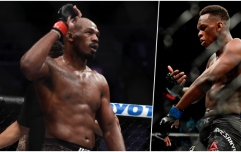 In a recent interview with ESPN, the current “champ champ” Daniel Cormier revealed that the UFC want's him to relinquish his light heavyweight title so that Jones vs Gustafsson can happen at UFC 232. It looks like Dana White's plans have come to fruition. We await an official announcement of the fight from the organisation now.